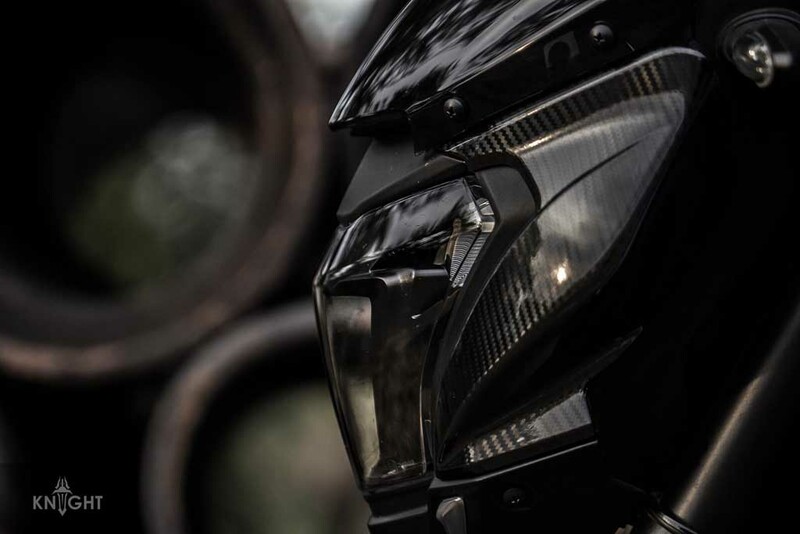 Bajaj Pulsar range has been very popular among the young motorcycling enthusiasts of our country. 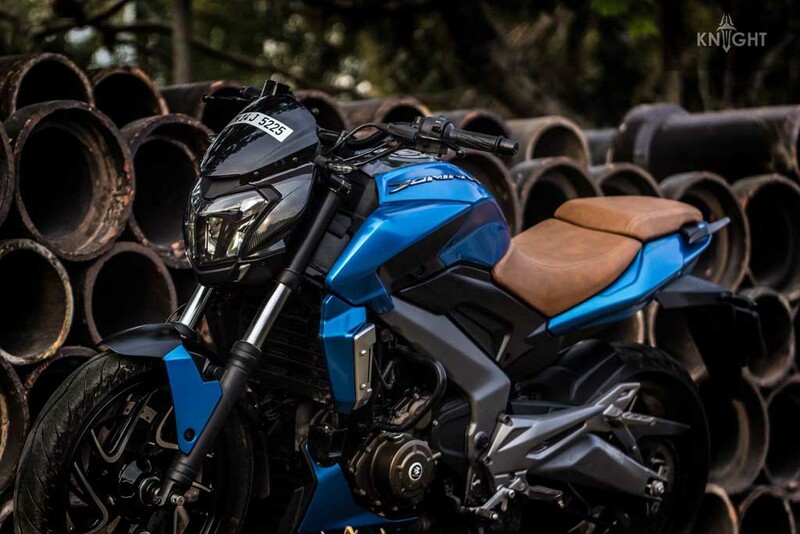 The Pulsar models are not only known for their sporty performance, but also for custom modifications as well. 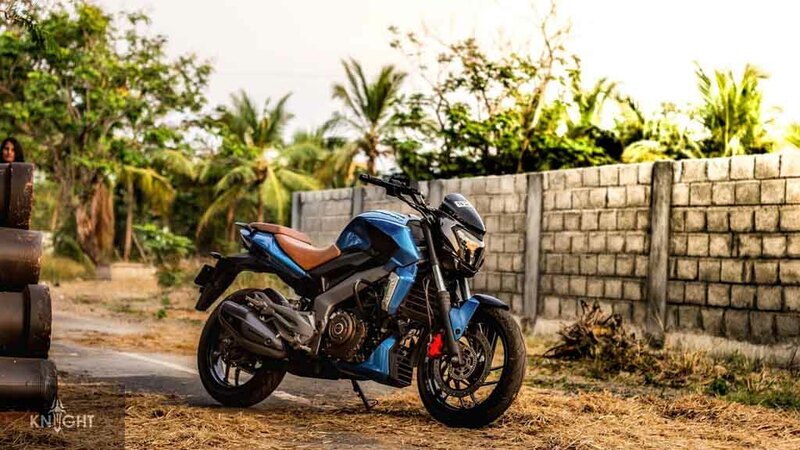 It seems, Bajaj Auto’s flagship bike Dominar 400 too is becoming a favourite model for those who love to give their machine a distinctive look. Here we have a Bajaj Dominar 400 customised by the Knight Auto Customizer, wearing Gloss Blue Metallic paint scheme. The glossy blue colour surely makes the attractive machine more appealing. This Blue paint is lighter than the shade available with the standard model. 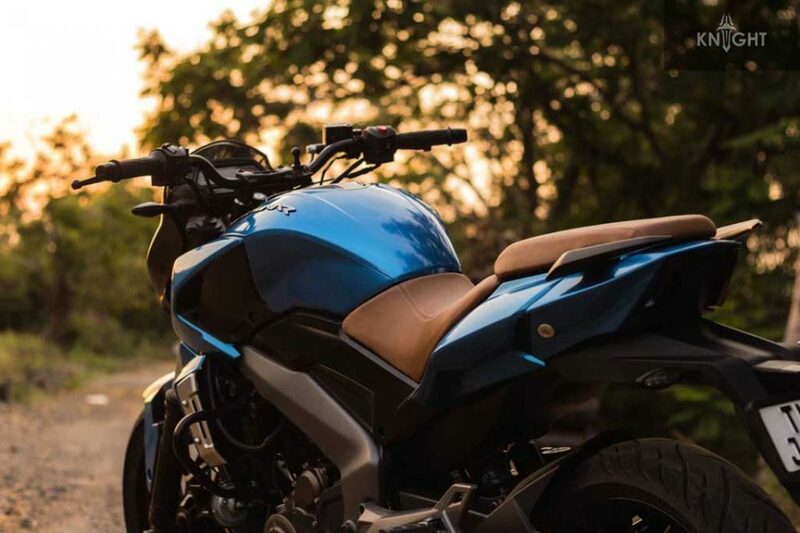 Combined with the black body parts, it gives the 400 cc bike an eye-catching appearance and strong road presence. At the front bikini fairing the Blue colour blends well with the glossy carbon fibre accents. Apart from that, the alloy wheels also come donning glossy Black tone and the brake calipers have been painted in Red enhancing the sportiness of the model. 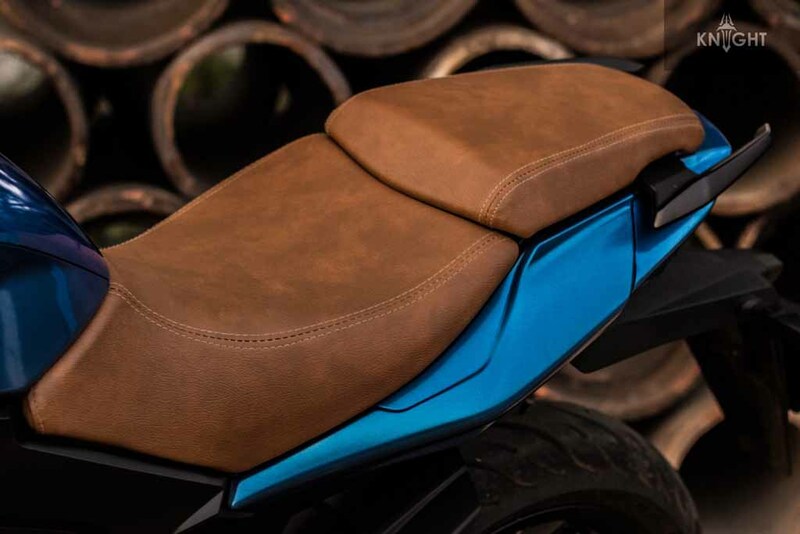 The seat gets a tanned leather tone, increasing the premiumness of the particular Dominar 400. 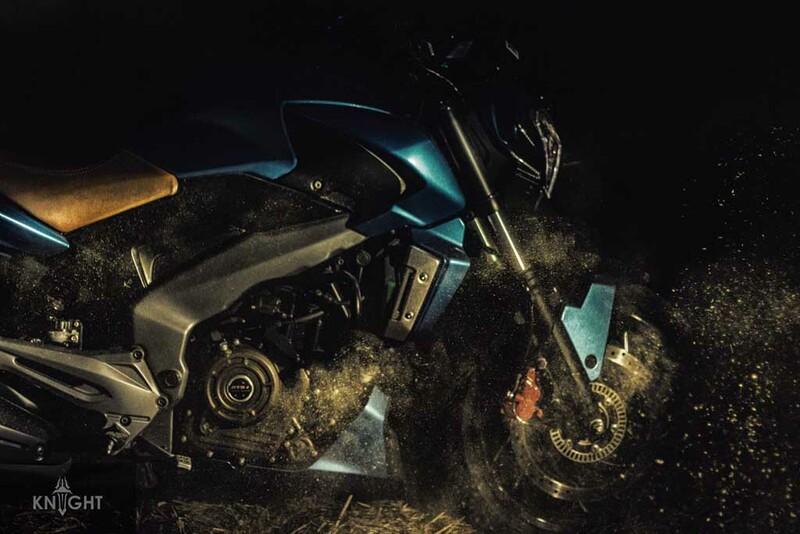 The customisation studio has only cosmetically modified the bike, and the powertrain remains untouched. 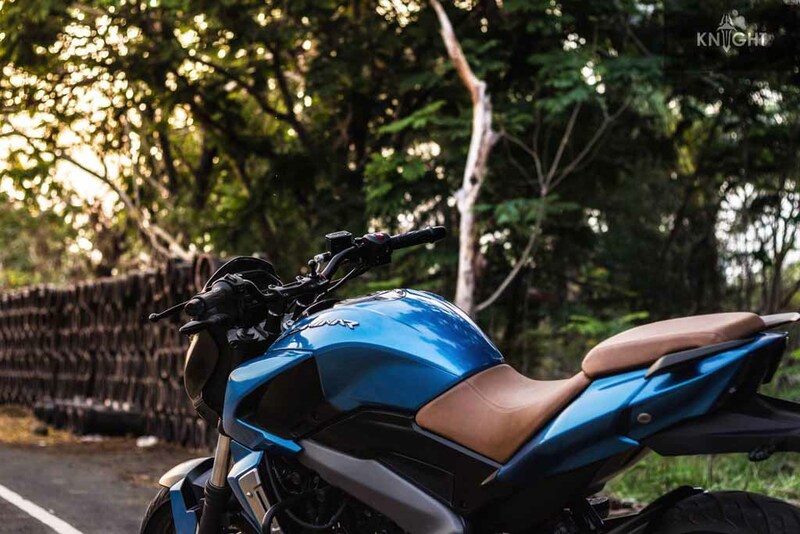 The bike is powered by a 373.3 cc liquid-cooled DTS-i engine borrowed from KTM Duke 390. This engine is mated to a 6-speed transmission and it also receives slipper clutch. 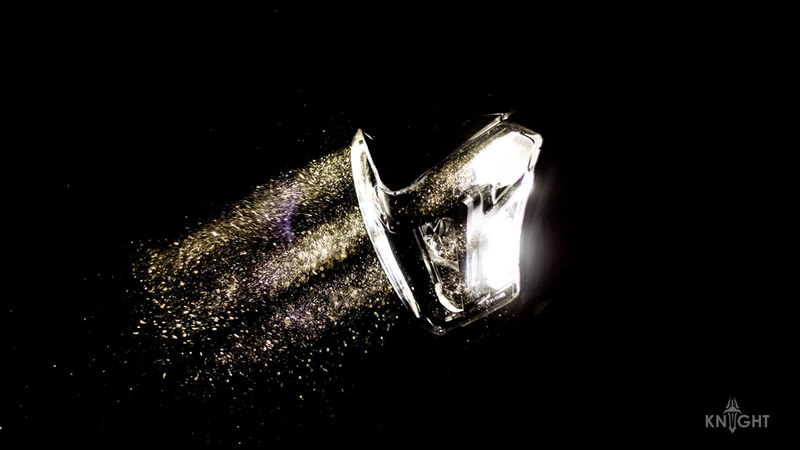 It produces 35 PS of peak power at 8,000 rpm and 35 Nm of peak torque at 4,500 rpm. Braking power is delivered by a 320 mm front disc brake and a 230 mm rear disc brake, combined with twin-channel ABS. 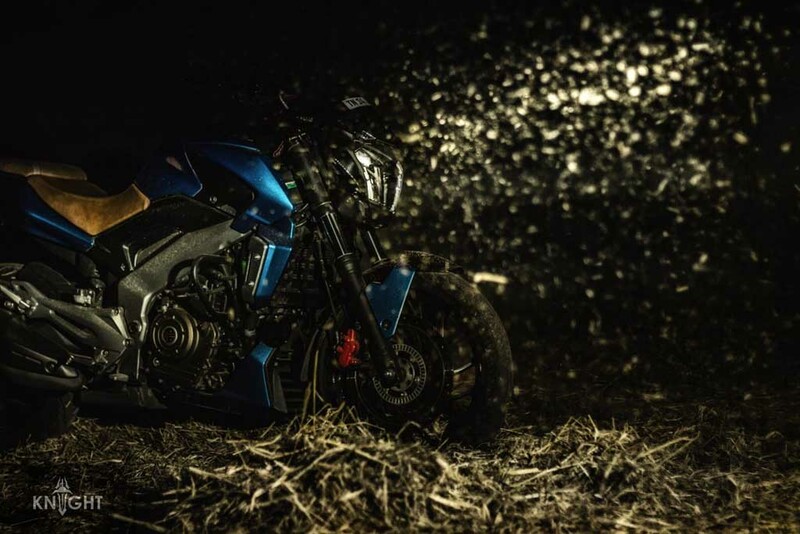 For suspension duty, the Bajaj Dominar 400 gets 43 mm telescopic front forks and multi-step adjustable monoshock absorber. 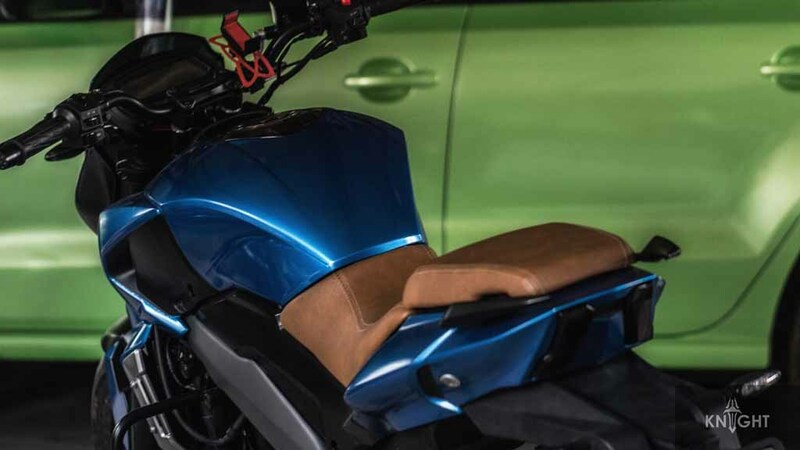 The non-ABS variant of the bike is priced at Rs. 1.36 lakh, while the ABS variant is available at 1.5 lakh (ex-showroom, New Delhi).